Unfortunately, accidents happen. Whether someone runs a red light and crashes into you or backs into your parked car, some circumstances are out of your hands. Additionally, you may slide into another car during icy Maine winters or misjudge your surroundings as you pull into a parking spot. The potential for collisions is an unwelcome reality of driving a car. Luckily, the collision center at our Chrysler Dodge Jeep Ram FIAT dealership near Bangor, ME, is prepared to solve any of your car woes. The technicians at the Central Maine Motors Auto Group Collision Repair Center can service any make or model of car. Our mechanical experts provide the highest degree of customer service while guaranteeing honest, transparent and timely repairs. 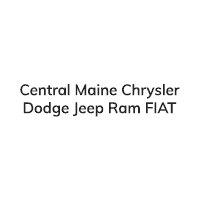 Central Maine Chrysler Dodge Jeep Ram FIAT is equipped to handle major repairs, including working on the body, replacing damaged parts and improving the powertrain’s function. We also work with several major insurance companies to ensure your accident claims go through smoothly and the process is as simple as possible. If your vehicle is in need of repairs, contact our auto body shop in Waterville, ME, today!